In the world of scientific software, UIs tend to be horrifically awful. When we started working on our next generation LIMS (called SLM: Sample Lifecycle Manager), one of our goals was to provide an intuitive UI. This post covers some of what we went through on the UI design front. 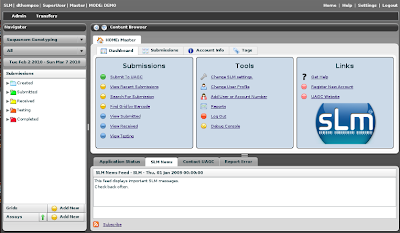 The design is similar to a complex desktop app such as Thunderbird or Eclipse. The app has a menu bar, a left panel with data/navigation, a bottom panel with several features, and a main tabbed panel with content. Our users hated it. We quickly learned that our users don't want desktop-style apps with many features spread across multiple panels. Instead, they are looking for web-style apps where each function of the application can be performed on a single, simple screen, and links are used to navigate between feature screens. Our revised UI eliminated the menu bar. The left and bottom panels are still available for power users, but they are now hidden by default. These simple changes dramatically improved the user's acceptance of the app. Flex's form system is great for building complex forms (as long as you can live with the standard theme). 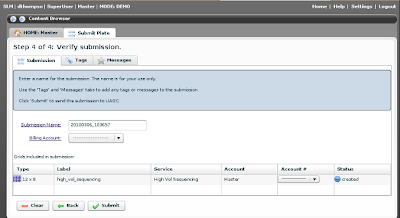 Flex has built-in validator classes that can provide real-time visual feed back to users as they enter information into the form. It is very important to customize your validators to provide useful messages to your users, so they know how to correct their input. Always make sure your forms are fully navigable by keyboard, and make sure that by default, the form will be submitted when the user hits 'Enter'. SLM has many features, and some of the forms rely on optionally selected fields. For example, if a user selects an option from a drop-down list, then other fields in the form become enabled or disabled. Many desktop-style apps 'grey-out' the disabled fields (this can be done using Flex UIComponent's 'enabled' property), but we found that un-usable fields that remain visible can be confusing for users. Instead, adding or removing the optional fields feels much more intuitive. Animations are not just eye-candy, they can also help users navigate through the system. 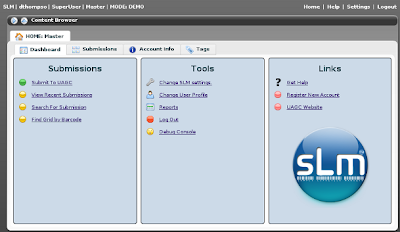 For example, SLM has several drag-and-drop features. At first, some users were unsure about which items could be dragged into a drop-zone. To fix this problem we added a simple glow animation to highlight draggable items whenever the user's mouse is hovering over the drop-zone. Customers use SLM to submit samples for testing at our facility. The submission process is similar to a shopping cart check-out on a retail site. It is extremely important to allow a user the ability to move forward and backward through the process. User's don't feel confident unless they trust the system to move back and forth between steps without munging any data they've already entered. If a user needs to change an option in step 2, it shouldn't affect the data they've already entered in step 3. 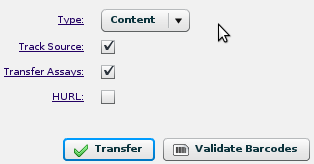 Users must also be confident that nothing will be stored on the server until the final submit step. For single step operations, the UI must always provide a 'Cancel' option or some other way for a user to back-out of the changes they've made.